I have a new book review out in Technology & Culture of Patrick McCray’s The Visioneers: How a Group of Elite Scientists Pursued Space Colonies, Nanotechnologies, and a Limitless Future (Princeton University Press, 2012). Access the review here. If you can’t get by the paywall, the “excerpt” constitutes virtually the entire review. The only section excluded is my suggestion of a number of books that complement McCray’s history. The Visioneers is a very able contribution to a growing historiography of activities and ideas that have existed at the edge of mainstream science and technology, often flitting between legitimate, even groundbreaking work, and sheer fantasy. While the book revolves around Gerard O’Neill’s prospective studies of viable space colonies, and K. Eric Drexler’s interest in the development of molecular machines, it is really about a broad, multifaceted culture of technological enthusiasm, which McCray also explores through his Leaping Robot blog. If you are not aware of the blog, please have a look. Michael Gordin’s The Pseudoscience Wars: Immanuel Velikovsky and the Birth of the Modern Fringe (2012). If you have additional suggestions, please drop them in the comments. When we start dividing up sub-categories within the history of thought or the history of ideas, we make distinctions of convenience: between explicit and tacit ideas, for instance, or between different genres of thought. These distinctions do not get at some internal essence of a form of thought. What they really do for us is provide us with provisional guidelines as to what forms of analysis are likely to lead to insights into things like: the genesis of an expression (“where did this weird idea come from?”), the circumstances bearing upon the form of expressions (“why did the author choose to publish that pamphlet at that time?”), and its relations with other expressions (“what did that film have to do with that book that appeared a couple of years earlier?”). In my last post in this series, I marked out “intellectual history” as a sub-genre that can derive insight from the analysis of particular details of particular works, and that is centrally occupied with how works and their creators respond to prior and contemporaneous works. In this post I will look at some areas that fit in and around the sub-genre of intellectual history: art/literary/music history, the history of philosophy, and the history of scientific knowledge. As always, no historian need confine themselves to a particular genre, and the comments are open for clarification, dissent, and debate. Collectively, historians know a lot about science and technology during the Cold War. 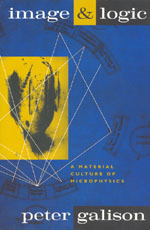 A significant number of books and articles have been written about the ambitious technological systems developed during the era, the enormous scientific endeavors made possible by expanded state and military funding, the rise of new intellectual programs in fundamental physics and molecular biology, the expansion of geoscience and social science and the development of new methods in them, the global integration of scientific work, and the importance of digital computation, among other subjects. Accordingly, the present is an excellent time to reflect on and consolidate what has been learned, render the history of the era more navigable, and to suggest forward-looking research programs. Unfortunately, this past summer’s Isis Focus section, edited by David Kaiser and Hunter Heyck did not take the opportunity to do that. The limit of the section’s synthesis essentially said what the paragraph above said at greater length, and left the rest of the space as a forum for the individual contributors to showcase their own research projects, which are taken to “exemplify” recent research trends. In this way, this Focus section is little different from past sections, which position themselves as the beginnings of new conversation, present some new empirical work, but mainly simply recapitulate basic ideas that can be considered the agreed-upon points in an aging scholarship, while reciting the perpetual mantra that “more work is needed” for any real understanding to occur. This blog typically does not take these sections up. But, since Cold War-era science is my own specialty, I thought a (now rather belated) critique of this particular section might be in order. If there are no guides to the construction of the history of science: if the task is more than identifying precedents to the present, if narratives of class interest or other overriding social determinants of scientific knowledge are rejected, and if (as the Great Escape has it) philosophy is no guide to how knowledge develops and spreads, then the danger arises that history drops into a deeply contingent state that can only be successfully analyzed at the most local level. Arriving in this position, one must resolve the absurdity by asking: what sorts of things can be the subject of historiography? I would reply that science studies has successfully argued that traditions of practice constitute the possible objects of historical inquiry. If definable physical conditions can persist through history (mountains are a nicely tangible example), then certain definable practical reactions to those conditions can also persist (climbing the mountain, digging mines, etc…). Such practices can be broken down into analytically useful categories: technology, technique, tactic, policy, arguments and knowledge claims, rhetoric, imagery, etc. Properly characterized varieties of these practices can be given useful labels (e.g. “empire-building” as a national policy). This post has a couple of motivations. I’ve been following with interest the conversations over at the History of Economics Playground about the relationship between the History of Economic Thought (HET) and the science studies disciplines (see here for instance). I’m particularly struck by the facts that many in the HET camp view the historical analysis of the impact of context as a distraction, and that eminent economists frequently show up to scold the rogues. This contrasts to the history of other scientific professions falling under the HSS umbrella, where intellectual interaction between historians and scientists is pretty much at a low ebb.